This new WCRI study explores how facility payments for surgeries conducted in ambulatory surgery centers (ASCs) in Georgia changed after the 2014 changes in the medical fee schedule for outpatient services. One of the many benefits of WCRI’s research is the ability to examine how various measures change after reforms, such as with this one, to provide information to stakeholders on whether the system changes had their intended effect. A new study from the Workers Compensation Research Institute (WCRI) explores how facility payments for surgeries conducted in ambulatory surgery centers (ASCs) in Georgia changed after the 2014 changes in the medical fee schedule for outpatient services. Effective May 1, 2014, Georgia changed its ASC and hospital outpatient fee schedule to follow Medicare’s Hospital Outpatient Prospective Payment System (OPPS) ambulatory payment classification approach. The new fee schedule method set ASC and hospital outpatient facility fee schedule rates at 2.25 times the Medicare OPPS rates that applied to hospital outpatient departments. While prior studies show that average facility payments in Georgia increased faster than in other states after 2014, little was known about the main factors behind these trends. Although Georgia made additional fee schedule rate changes in 2018, those are not reflected in this analysis. 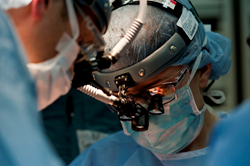 Average facility payments for knee surgeries performed in ASC and hospital outpatient settings changed little after the new fee schedule approach was implemented in 2014, although the average measure masks important differences across different types of knee surgeries—little change for most common knee surgeries and a 32 percent increase for some knee surgeries, likely reflecting new fee schedule rates. Average ASC facility payments for shoulder surgeries increased in 2014 across most surgery types, likely reflecting different fee schedule rates that applied to different procedures. After 2014, the average payments to facilities for shoulder surgeries performed in ASC settings were higher than the average payments to facilities for similar surgeries conducted in hospital outpatient settings. Georgia’s ASC facility fee schedule rates for common knee and shoulder arthroscopies were 3.6 to 4.2 times the rates that Medicare pays for similar services performed in ASC settings, reflecting a policy that ties ASC reimbursements to Medicare’s hospital outpatient fee reimbursement rates. Georgia hospital outpatient facility fee schedule rates for common knee and shoulder arthroscopies were 1.8 to 2.4 times the rates that Medicare pays for similar services performed in hospital outpatient settings. The study was authored by Bogdan Savych. To learn more about this study or to purchase a copy, visit WCRI’s website at https://www.wcrinet.org/reports/payments-to-ambulatory-surgery-centers-in-georgia. The Cambridge-based WCRI is recognized as a leader in providing high-quality, objective information about public policy issues involving workers' compensation systems. The Workers Compensation Research Institute (WCRI) is an independent, not-for-profit research organization based in Cambridge, MA. Organized in late 1983, the Institute does not take positions on the issues it researches; rather, it provides information obtained through studies and data collection efforts, which conform to recognized scientific methods. Objectivity is further ensured through rigorous, unbiased peer review procedures. WCRI's diverse membership includes employers; insurers; governmental entities; managed care companies; health care providers; insurance regulators; state labor organizations; and state administrative agencies in the U.S., Canada, Australia, and New Zealand.